Just in time for the North American premiere of DreamWorks Animation’s “Kung Fu Panda 3” today, Kung Fu Panda: Battle of Destiny has been released on iOS. 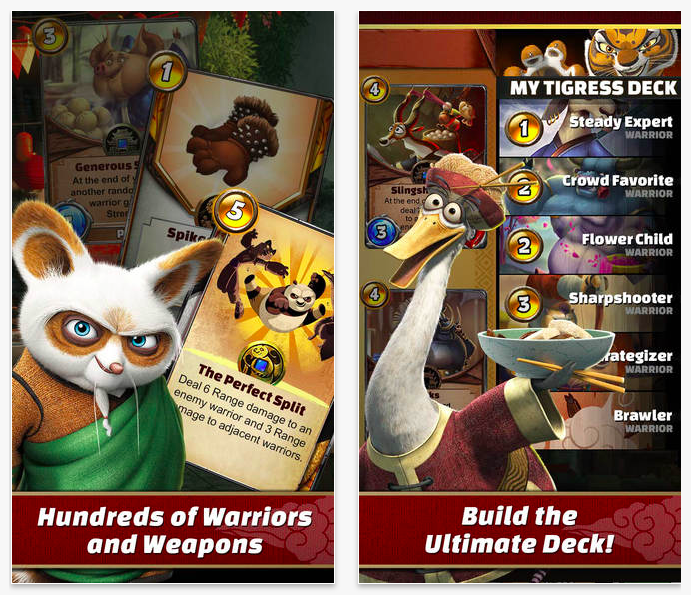 Battle of Destiny is a card battle game based, of course, on the popular “Kung Fu Panda” computer-animated action comedy martial arts films. Do you know card fu? 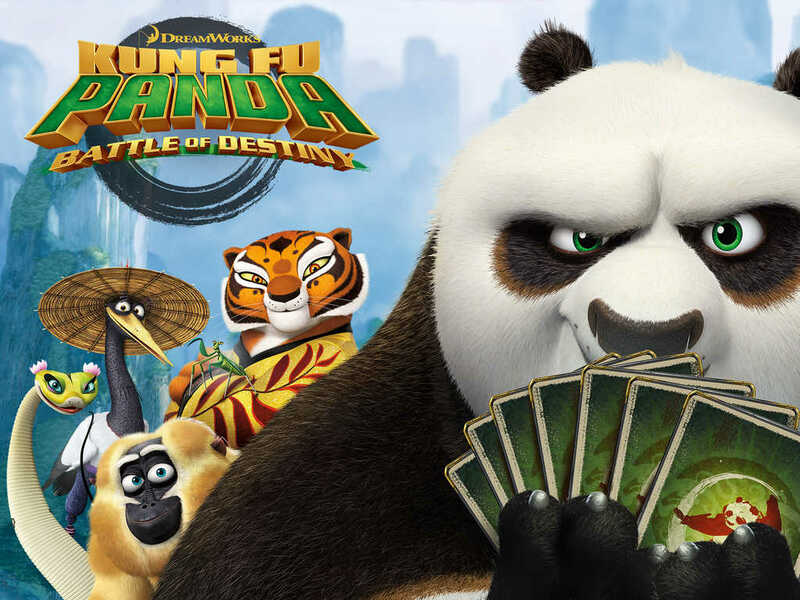 Combining the charms of “Kung Fu Panda” humor and the thrills of Hearthstone-style gameplay, Battle of Destiny has you competing with your friends and other players for “card fu” supremacy. In the game, you play as your favorite characters — including Po, Tigress, Viper, Monkey, Crane, Mantis, and more — and exclaim, “Whoa,” as cards literally fight each other. Battle of Destiny lets you build decks from hundred of new cards with their corresponding weapons and attacks. It also lets you transform your unwanted cards to come up with more powerful ones. There are also daily quests to complete and head-to-head battles to be won. Compatible with iPhone, iPod touch, and iPad, Kung Fu Panda: Battle of Destiny is available now on the App Store as a free-to-play title. Note that the game requires an Internet connection to play. Battle of Destiny is developed by Ludia, which has previously collaborated with DreamWorks on Dragons: Rise of Berk. 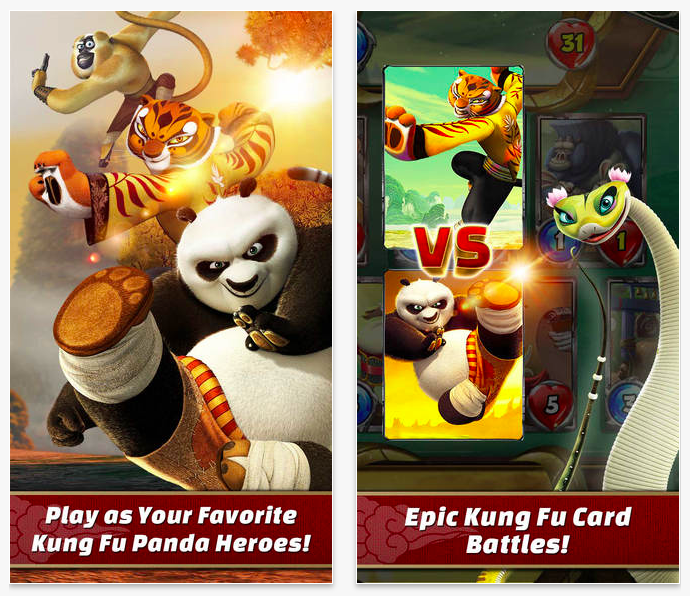 DreamWorks has also partnered with NetEase Games to release the slashing adventure game Kung Fu Panda – The Video Game in China, and with Riffsy to include GIFs featuring scenes and characters from the “Kung Fu Panda” flicks in GIF Keyboard. 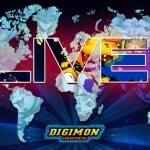 This week has also seen the launch of another card battle game based on a popular multimedia franchise in the form of Digimon Heroes, a match-three card battle adventure game featuring the titular digital monsters. 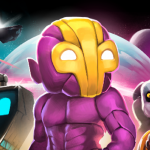 For more new iOS game releases, see also: Polyblast now brings you retro arcade action and more, Quench your thirst of puzzle games with Open Bar, and Unravel tiles to create paths in Twofold Inc., a charming puzzler.